Fixed star Ain, Epsilon Tauri, is a 3.5 magnitude orange giant star marking the northern, or left eye of the Bull, Taurus Constellation. The traditional name Ain comes from the Arabic word عين which means Eye. John Flamsteed termed it Oculus Boreus, Latin for Northern Eye. Ain is a member of the Hyades Star Cluster which includes γ Prima Hyadum, δ Hyadum II. 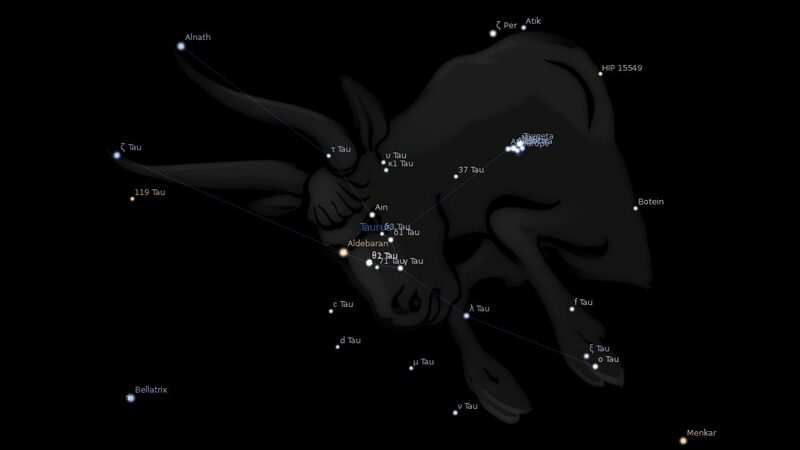 The Hyades are a small group of six stars including the Eye of Taurus (Ain). Greek mythology saw them as the daughters of Atlas and Aethra, major figures in the pre-disaster period of our history. Like their half-sister the Pleiades, they were a sorrowful group – understandably after seeing Father try in vain to keep the sky (Phaeton’s debris) up off the Earth – and they have long portended rain, to both farmers and seafarers. Uranus conjunct Ain: Scientific, literary, artistic and mystical interests, unconsciously psychic, greatly influenced by environment, favorable for marriage after 35 and for gain and children, ill-health, seldom long life. These individuals experience problems with the gripping action of the hands. They may be able to grip things at times, but quite often they cannot hold onto anything for any period of time. It is the smaller objects that give the most trouble, such as cups, glasses and other objects like that. They are far more capable of picking up larger objects using both hands. Accidents can occur frequently, as they never know when the energy in the hands will suddenly disappear thus causing the loss of their grip. It may not seem to be a problem to these people, as they would put an object down before losing their grip so that others would not notice their weakness in this area. Mick Jagger 0°07′, Robert De Niro 0°49′ Rudy Giuliani 1°08′. 1. 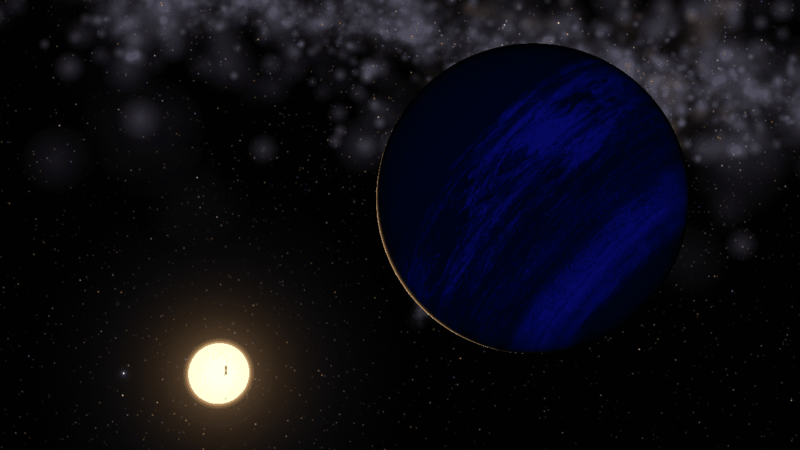 A Planetary Companion to the Hyades Giant ε Tauri, The Astrophysical Journal, Sato, Bun’ei; et al., 2007, 661 (1): 527–531. 3. Fixed Stars and Their Interpretation, Elsbeth Ebertin, 1971, p.21. 4. The Living Stars, Dr. Eric Morse, 1988, p.37. FABULOUS site! I discovered it fairly recently and have been neglecting everything and everyone else while I’ve been exploring it. It’s generous of you to give us so much “for free”. As my Mars is near Aldebaran, this fancy and impressive Royal and Behenian star, I have read a fair bit about it. But today, for some reason, I took a look at Ain in the Hyades in Taurus. I was blown away by what I found! There are three references to the book “The Fixed Star Health and Behavior Imbalance”. ALL of them apply to me. The thing is, they don’t really line up with my planets in the way described. My Mars is 08Gem16in house 7, 33′ away from Ain which was at 07Gem43 when I was born. My Uranus is 16Gem26 in house 7. This is FAR away from Ain – and yet there’s this description of a Uranus/Ain condition that I have, in minute detail. Uranus is widely square Jupiter in Virgo (health!) in house 10. Jupiter is WIDELY conjunct Neptune and Chiron in Libra in house 10. Neptune and Chiron, in turn, trine my Mars. I didn’t think the fixed stars worked that way (“they cast no beams” – “use only tight conjunctions, except for Algol”). – Perhaps Algol, which is 19′ from my Descendant, is affecting all of my 7th house in some weird and mysterious way? Then there’s the health (or physical) description) for Ain/Saturn – again, it describes me perfectly. My Saturn is unaspected in Cancer in house 8 – the cusp IS in Gemini, though. Lastly, there’s the description for Ain/Venus. My Venus is also in Cancer in house 8. It is at 00Cnc07 in tight conjunction with the Moon at 28Gem59. This description is something I’ve worked at, but it’s still accurate up to a point. I’m beginning to think this is all about Gemini in some way! 4 August 1945 at 15:35 in EET (2 hours ahead of UT in case I have that EET wrong). I was born about 1.5 days before Hiroshima. My granddad always said that atomic bomb affected the whole world. Wow, you are getting right into it, gives me a good feeling, this is what I really hoped to happen at some stage as people got more interested. I need your place of birth to check DC but your Mars is between The Ain and Aldebaran and in orb of both. But Mars is applying to Aldebaran and separating from Ain, so already got the full impact of Ain, but only in the process of fully getting the Aldebaran energy. Each star rules a particular part of the body and each planet affects it differently. Mars on Ain may show in many ways because of your aspect to Mars. Then there are all those minor aspects we never look at. Everything is linked! Did you read Uranus with Rigel? It’s great you have so many contacts with health descriptions. You are so right, Jamie! Saturn is semi-sextile Uranus – one of the small aspects that obviously SHOULDN’T be ignored. And Uranus is conjunct Mars / Ain. Either Mars is very powerful, or the Eye of the Bull is concentrating on an enormous number of things at the same time. Of course, Ain is one of the infamous Hyades, and these interpretations refer to ALL of the Hyades. But I must say that the orb of the Mars / Uranus conjunction is a bit wider than I’m comfortable using, ESPECIALLY when a fixed star is involved in the whole mix. More than a coincidence! Thanks so much for dropping by. I have my sun conjunct Ain and Aldebaran, like right smack in between them at zero degrees pretty much. But I am not evil at all, I’m a born again Christian, I’m not gay either. I do have a crazy iron will and I could see myself being evil had I not been divinely guided because I have Mars square Pluto. I did have disrupted education but I’m super smart, I just didn’t get a college degree. I am considering going back to school in my 40’s. I did very well in sales. I have had some misfortune but haven’t we all? I almost feel this is ancestral, could that be? In other words, perhaps it was my karma to break the cycle. I do have about 35% native American in me. I dunno….